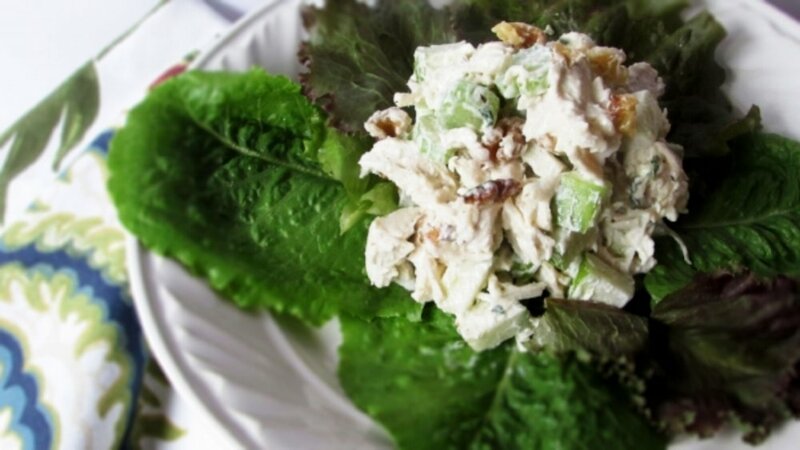 A flavorful, versatile chicken salad! This salad is great on mixed greens, sandwiches, stuffed into a tomato or simply served with crackers. The apple, celery and walnuts provide texture and crunch while the basil and lemon add a bright flavor. Using a little Greek yogurt delivers some additional protein but the mayonnaise can't be beat for adding a creamy note. In a large bowl combine all ingredients and mix lightly. Store in a covered container in the refrigerator for up to 3 days.